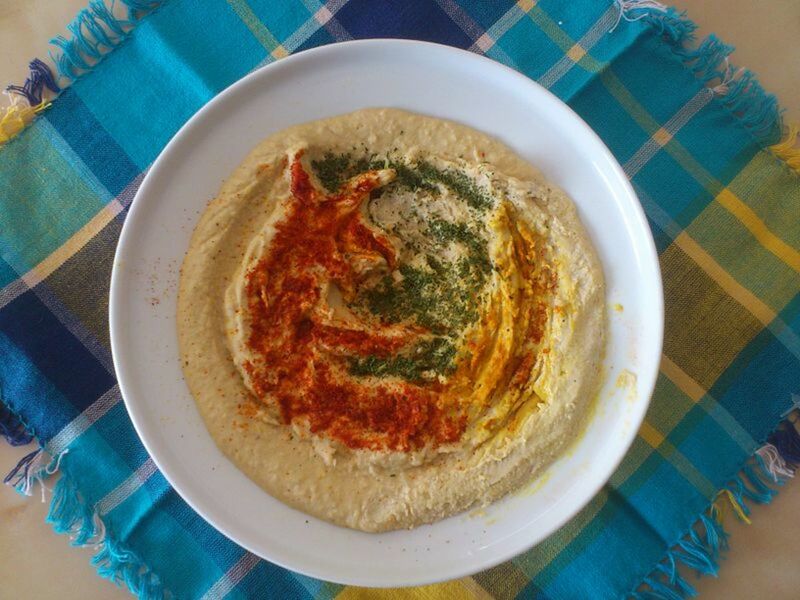 Have you made hummus with garlic and tahini? Let people know what you think! Hummus has many health benefits. 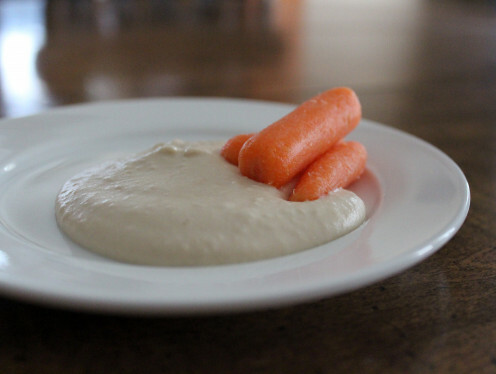 If you enjoy hummus, consider making this healthy dip and spread at home. Hummus is inexpensive and easy to make. It comes together in minutes with a food processor. One of the best parts about making hummus yourself is that you can customize the recipe to suit your personal tastes and preferences. Once you have mastered the base recipe, there is no limit to the possible ingredient combinations. 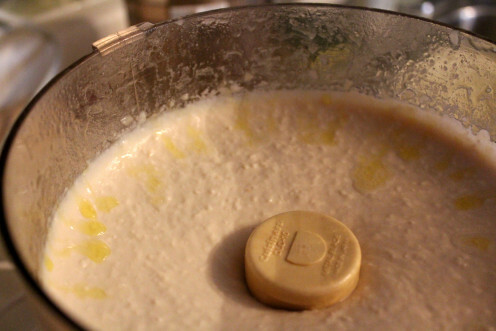 Did you know that you can make tahini at home? Tip: Did you know that you can freeze hummus? Typically I split this hummus recipe into two Tupperware containers and freeze one for later. Frozen hummus keeps for up to 3 months. When you're ready to eat it, let it thaw in the refrigerator for a full 24 hours. Drain and rinse the beans. I rinse them in a plastic colander. For a chunkier spread, blend for 1-2 minutes. For a smoother spread, blend for 4-5 minutes. Taste and adjust seasonings as needed. Serve immediately. All hummus must be refrigerated. Mash some chick peas and mix them with tahini, oil, lemon juice, garlic and whatever else you like in your hummus, then try one of these new serving suggestions for hummus. What can you serve with hummus? There is no limit to the foods that you can serve with hummus. Once you get hooked on it, you'll be eating it with everything. However, here are just a few of the most popular options. Sesmark Savory Rice Thins. We almost always keep rice thins in the house just for hummus eating. Raw vegetables. Some people like to cut up vegetables such as cucumbers and tomatoes and spread hummus right on the slices. Topping for fish or chicken. Where can you purchase tahini? Natalie has hummus recipes that include pizza, beet, buffalo wing, spicy pumpkin, sweet potato, carrot, and masala. Type "hummus" in the search box to check out her recipes. These five simple, healthy, and unique hummus recipes do not disappoint: basic, roasted butternut squash, spicy jalapeno and lime, curried mango, and maple bacon with sun-dried tomatoes. Take bland, commercially prepared hummus out of your life forever by making hummus at home with this authentic Middle Eastern hummus recipe. Blending it longer is definitely the key for a smoother spread. I let mine go for a full 5 minutes. There is absolutely nothing wrong with purchasing tahini. A $7-8 jar can last you a year, even if you make hummus every month. I have tried making it once, but I think I needed to blend it longer. 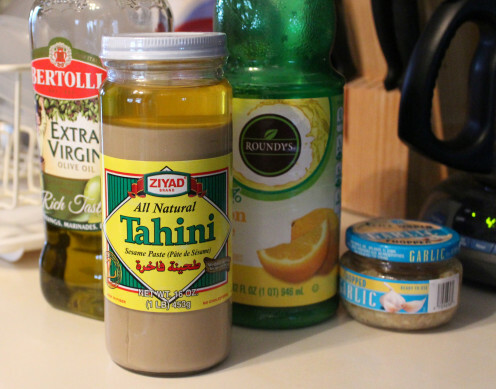 Next time I want to use Tahini, I just need to go out buy it, since it is not something I have around the house. That's awesome, Ruchira. :) If you don't want to make it yourself, you can purchase it. If you're up for the challenge, though, go for it! i love hummus. Now just gotta learn to make tahini. Thanks, Cyndi! 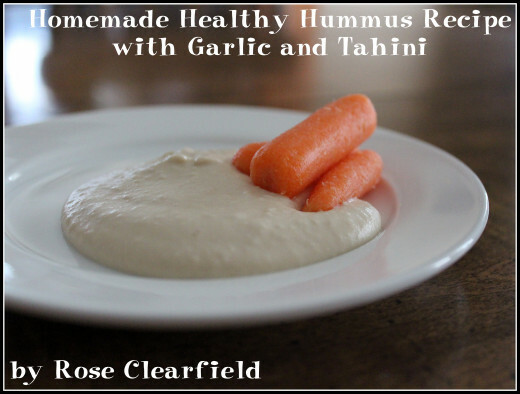 Tahini makes all the difference for me, and I hope that others do give it a try. I have not gotten tired of cannellini beans either. They create such a smooth texture for the dip. Thanks, Natasha! That's awesome. You're definitely right about the creaminess of cannellini beans. They blend beautifully for hummus. I love hummus and making it! I really like the cannellini bean idea. I've never had it, but the creaminess of cannellinis makes the think it would be really good. This looks great! I'll have to try the tahini. I love your clever use of the map and directions of places to get tahini in this hub. 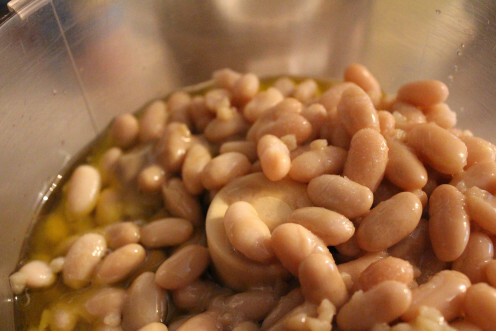 Great idea on the cannelini beans, too - a nice but different take from the garbanzos. Mommy Needs a Nap, that's great. :) I hope that they do enjoy it! I will definitely do this. Thanks for a simple recipe that my crew will enjoy. Hey, Random!!! I bookmarked this hummus recipe about 4 months ago. I've been meaning to make it forever! And I did tonight. Okay, I've got to get a food processor instead of using my blender, as I still have many garbanzo bean chunks! But the flavors are great! like you, I added extra garlic. I can vouch for this recipe! Thanks ishwaryaa! Hummus with grilled chicken is a great combination. 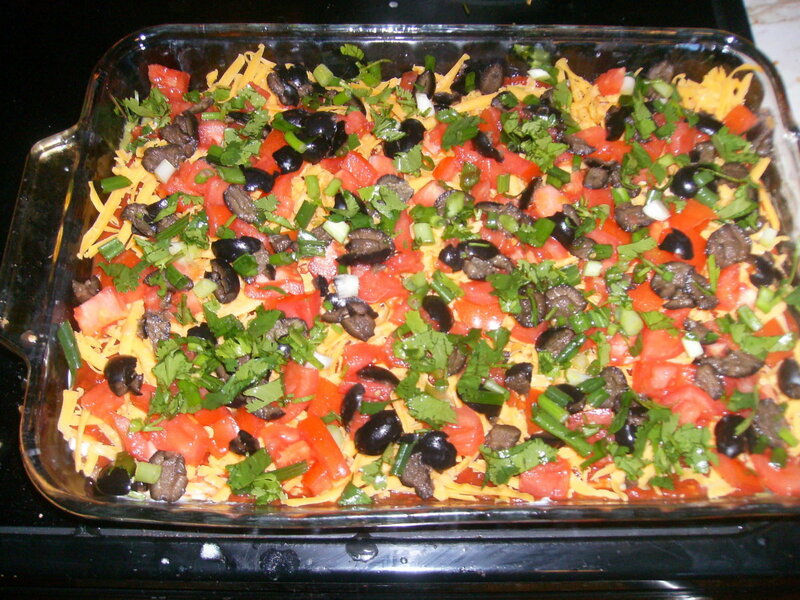 This is a tasty and simple recipe! Your directions in preparing this quick food are laid out well. I have eaten hummus with grilled chicken - delicious indeed! Thanks for SHARING. Useful. Voted up. If you have a food processor, it is so easy! You could definitely add red pepper or jalapeno. I've had roasted red pepper versions before, which have generally been very good. I've never tried making my own hummus before but I must admit it looks really easy to do. I suppose you could add red pepper or jalapeno to the basic recipe for different flavouring and color? Thanks! I'd love to hear what you think of it. I'm going to bookmark this one. 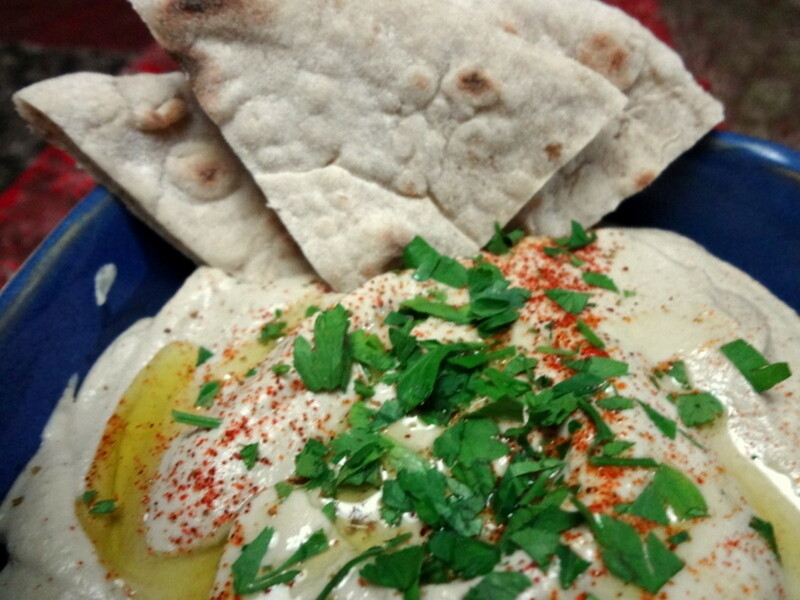 I've bookmarked a few hummus recipes, as I've been wanting to make my own hummus. I love hummus! I will let you know when I try this recipe. Thanks so much. Thanks randomcreative. You have some really good hubs. Thanks habee and kikalina! If you try it habee, let me know. :) That's awesome, kikalina. I'll have to check it out! In Malta there is something similar with Broad Beans. It tastes amazing. I have a hub with the recipe. Yum! I love hummus! I think I'll try your suggestion of adding black beans next time. Thanks, and voted up! Thanks! It is very easy. You can substitute canned beans for dried ones if you prepare them properly first. Honestly I'm not sure how much healthier it is. It is cheaper (though using canned beans instead of buying prepared hummus is cheap, too). Voted up. This looks like an easy recipe. 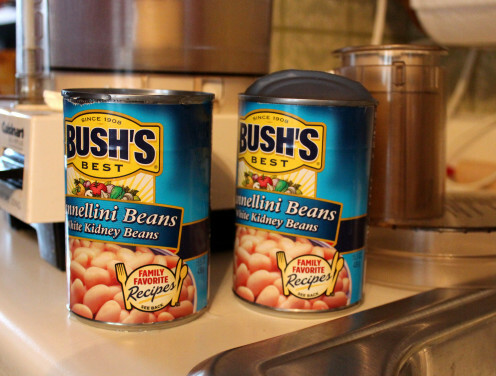 I wonder if there is a healthier alternative to canned beans. Yum! This recipe looks delicious. 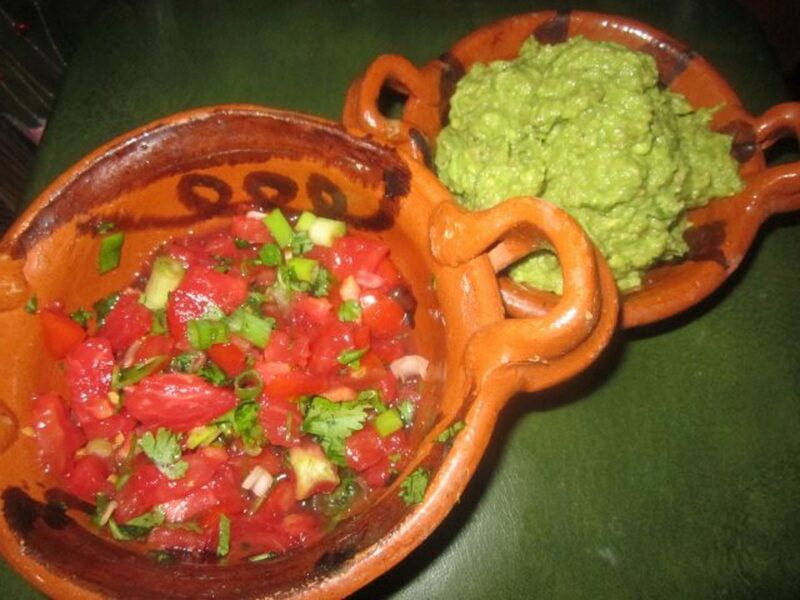 Thanks for sharing this, I love trying new dips!